All decent Americans are heart-sick and outraged over the Newtown, Conn. school massacre. But some citizens have completely lost their heads and souls. 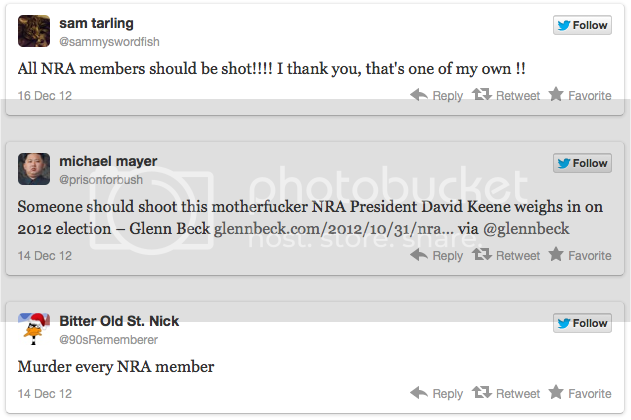 On Twitter, there’s a growing proliferation of sickos calling for NRA president David Keene and anyone else who belongs to the gun-rights organization to be shot. It should be pointed out the NRA promotes respect for, proper use of and provides proper training for those handling firearms. The NRA has zero responsibility for the horrific tragedy in Connecticut last week.